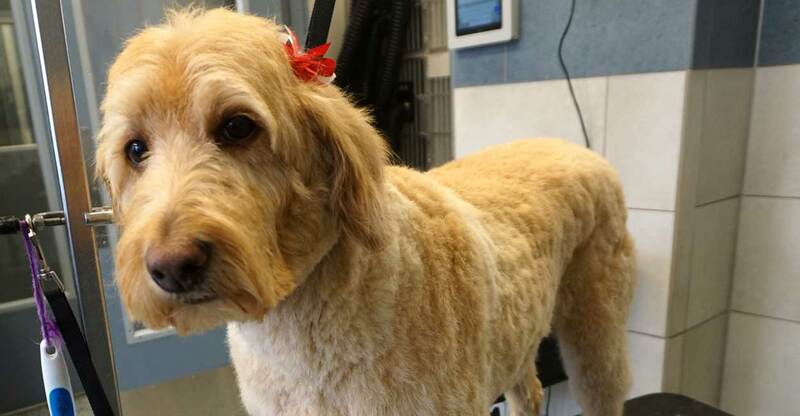 Tucker Pup's strives to be the best dog grooming business in Chicago. If you come take a tour, we believe you'll immediately see and feel the difference. We give you a grooming time, and groom your dog through to completion. Most dogs are here for no more than two hours ? We only hire groomers who are professional, experienced, friendly, honest, and follow your instructions ? Speak with a groomer before and after your reservation ? Grooming available 7 days per week, until 6:30pm on weekdays and until 6pm on weekends ? Highly sophisticated system for tracking your notes, preferences, and photos ? Pricing consistency from one groom to the next, assuming everything was similar. ? High quality shampoo. We only use the good stuff. ? Most effective bathing system on the market for getting your dog as clean as possible ? E-mail confirmations and reminders ? Our prices are competitive with other groomers throughout Chicago and that may be located in major cities. Base price: The chart below shows the base prices, then see the information below the chart for any add-on services. Puppies: If you have a puppy, the price may or may not be somewhat lower than the prices listed. Oftentimes, puppies still take the same amount of time as a fully grown dog. Mixes: If your dog is a mix of multiple breeds, the price will be based in part on the primary breed. Only the groomer can give the final price. We groom every breed. Here are prices for the most common breeds. If your breed is not on the list, please call us. We only show the most popular breeds on this list. If your breed is not on the list, please call us for more information. Face, feet, and sanitary trim if only getting a bath: Price of bath (see chart below) plus $15 - $25, depending on the age and work involved ($15 for puppies or dogs with minor work, $25 for older dogs and those requiring more work). Some dogs cannot have their nail trimmed due to anxiety, but will tolerate grinding. Special handling: May be charged if a dog requires extra time or effort beyond what is considered reasonable and customary for the breed. The charge depends on the situation. For example, if a dog would normally take one hour but takes three hours due to fear of the dryer, there would be an extra fee that takes into account lost revenue to the groomer.